Tides Marine has developed a new line of headboard car assemblies to accommodate the heavier loads being developed on multi-hull vessels with mainsails larger than 500 square feet and monohulls with mainsails larger than 700 square feet. These increased service loads are a result of new sail designs which have much larger roach area and wide head (or fat head) shapes. If one or more of the standard Tides headboard slides pull out of the Tides track under load, one of these alternate headboard cars could be the solution. 1. Moving the halyard attachment point on the headboard further aft. 2. For two-part halyards using a crane, lengthening the slide loops on the headboard and the upper 3-4 slides. The alternate headboard car assemblies described hereafter are sold separately. Stainless steel slide measuring 5.25” in length. 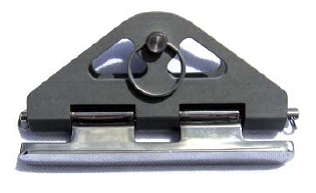 Aluminum (AISI 2024) headboard car (hardcoat annodized) measuring 5" in length. 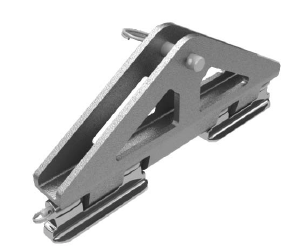 Headboard quick pin is approximately 1 1/2" from the Tides Track. Width of the headboard slot in the car is approximately .650". Stack height length is 5.25". Two stainless steel slides each measuring 3.00" in length spaced approximately 1 1/4" apart. Stack height length is 7.33". 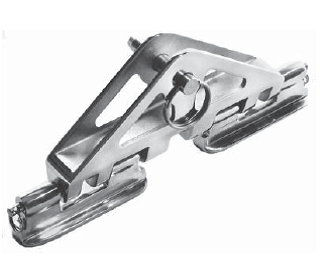 Two stainless steel slides each measuring 2.00" in length spaced approximately 1 1/4" apart. Aluminum (AISI 2024) headboard car (hardcoat annodized). 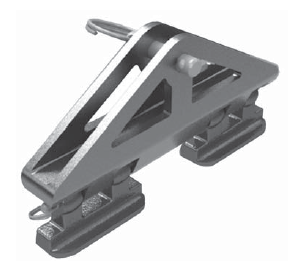 Headboard quick pin is approximately 1.70" from the Tides Track. Width of the headboard slot in the car is approximately .470". Stack height length is 5.50". Two stainless steel slides each measuring 3.00" in length spaced approximately 2 1/4" apart. Headboard quick pin is approximately 2.20" from the Tides Track. Stack height length is 8.30".